Our innovative products are a result of relentless research from our design and development team. Our willingness to experiment and take risks has helped us create products that improve the quality of life of the people. PACE products are fulled by its core values of high quality and excellent customer service. Products related to Infra Power Management, Green Energy, Telecom, and other futuristic products energize the solutions of many industries. Our team of professionals design, develop, and manufacture products according to the market trends and advancements in technology. These smart products are offered at affordable prices and are in the reach of global consumers. Customers can find products related to power and telecom fields to fit their needs. 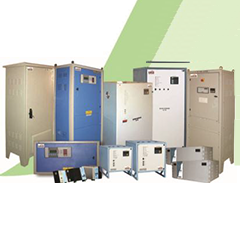 Our trained and professional personnel help them with plausible power solutions with our innovative products.